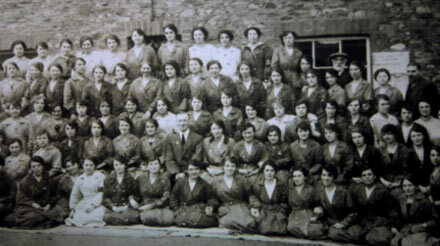 The women of Sout h Gloucestershire rose to the challenge of wartime conditions. With their men at war the women ran their homes alone. They cared for children, the elderly and sometimes held a job too. With coal and food prices doubling over the period of the war, life was hard. The Women’s Institute and the Mother’s Union were formed to support women on the home front. For some women, opportunities for work increased. There were better wages in munitions where women often braved dangerous working conditions. Women worked in transport and offices. 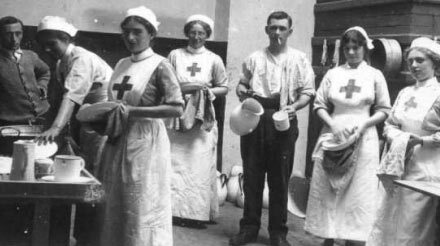 Some decided to volunteer to become nurses both at home and abroad. Most women tried to contribute to the war effort.